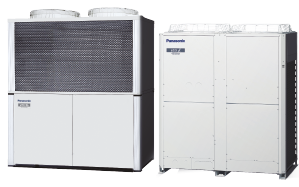 April 8, 2019 – Panasonic has introduced a new Aquarea Cascade Controller, with a highly integrated interface, to deliver increased energy-efficiency for large applications. 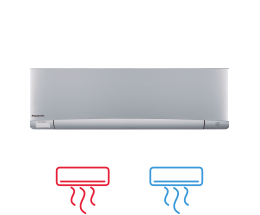 The controller can operate up to 10 Aquarea air-to-water heat pumps (160kW) simultaneously or in cascade mode, helping to meet the heating or cooling demand of commercial buildings more efficiently. For large projects, efficiency is the key to creating a more sustainable building and reducing heating and cooling costs. 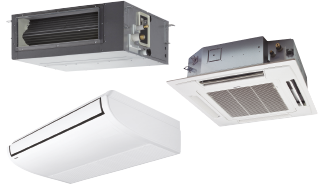 Cascade control is increasingly being utilised, making use of parallel-connected heat pumps and switching on the most efficient number of these as demand is increased or decreased. The new Aquarea Cascade Controller makes it possible to connect up to 10 Aquarea heat pumps in parallel, to suit the needs of large-scale applications such as shops and hotels. Each heat pump within the cascade requires its own Modbus Interface (PAW-AW-MBS-H) to allow it to communicate with the Aquarea Cascade Controller. 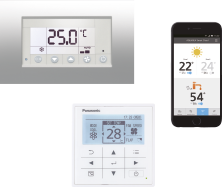 The Aquarea Cascade Controller directly integrates with the building’s BEMS by a built-in modbus for a smart way to manage heating, cooling, domestic hot water (DHW) and monitor energy-usage. 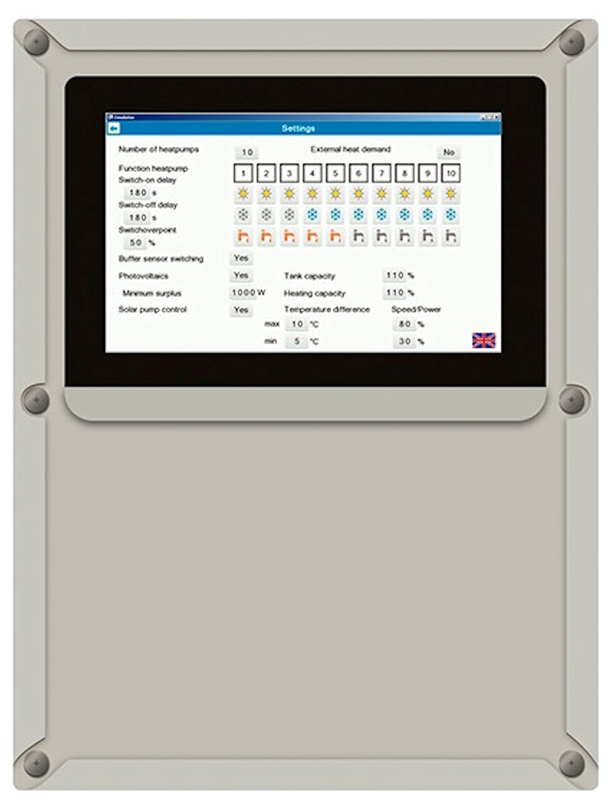 Photovoltaic solar panel functions, a 3-way external valve for cooling and up to three external heat meters can also be connected to the controller at one time, enabling facilities managers and maintenance professionals to oversee all operations and view essential information in one place. 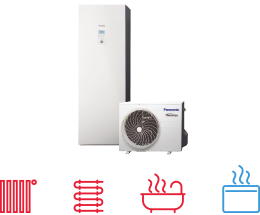 In addition, the controller includes a touch screen display with information about each of the connected heat pumps - ideal for quick servicing and maintenance tasks. This scale of cascade control presents a more efficient solution for commercial buildings. It helps to maximise the lifespan of the Aquarea units, which can be intelligently managed to balance the load, and offers a contingency solution if maintenance is required, minimising downtime.